Located in the inner south of Canberra, Kingston Place is a low rise residential development being constructed over two stages. 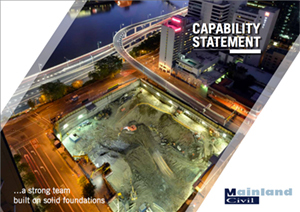 Mainland Civil was contracted for the excavation of Stage One and subsequently engaged to complete Stage Two. The one level basement excavation also included the detail excavation for lift cores and footings. Mainland Civil used rock sawing techniques to cater for the hard shale rock encountered on this site.